World Gifted 36(1) is now available. This issue contains reports from: Australia Brazil Ecuador Egypt Finland Israel Mexico New Zealand Norway Oman Saudi Arabia Spain Sweden Switzerland USA A huge thank you to all of the Delegates and other members who contributed to this issue! 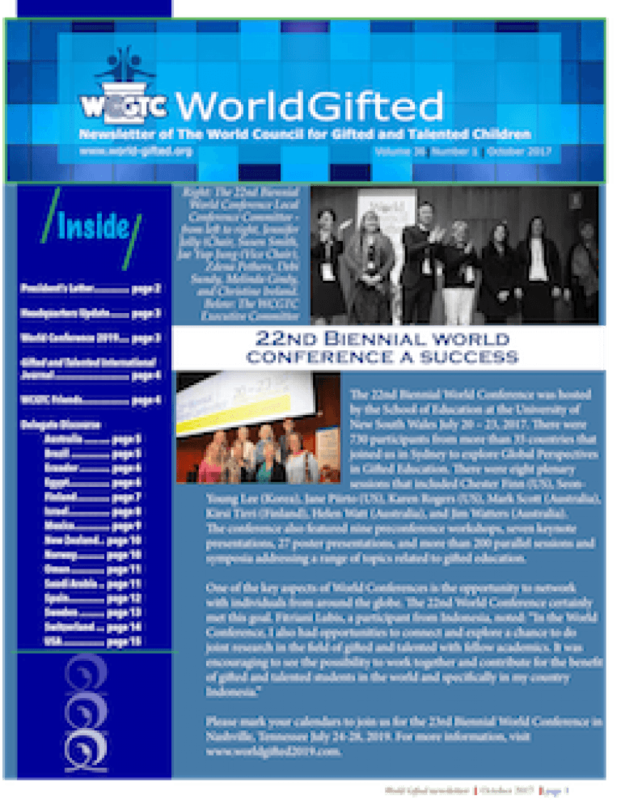 To read the newsletter, visit https://world-gifted.org/World-Gifted-Newsletter/wg-36(1).pdf. 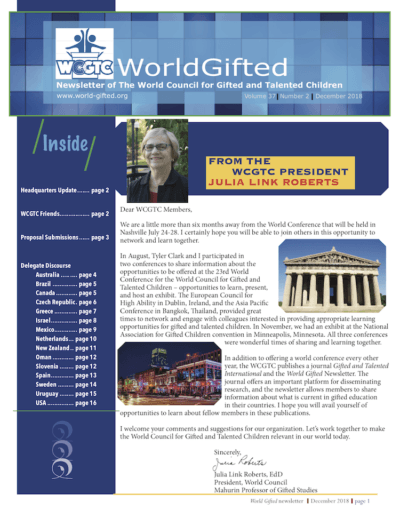 The latest editions of the WCGTC Gifted and Talented International Journal and the World Gifted Newsletter are now available at the WCGTC website. 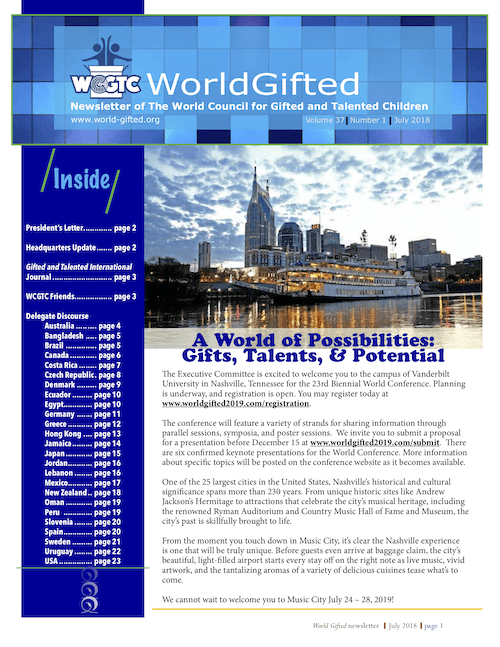 GTI contains recent research in the field of gifted education, while World Gifted includes new country reports and information about the 20th biennial World Conference in Louisville.